Larry and Cynthia Schum are savvy Boilermakers. They helped students studying in their beloved Krannert School of Management and, at the same time, received beneficial tax deductions. Larry (BSIM ’76) and Cynthia (BSIM ’78) donated real estate, a parcel of property in Colorado, to initiate a scholarship at Purdue. Because scholarships eased the Schum’s financial burden when they were Krannert students, they wanted to help future scholars who had financial needs. Like many donors, the Schums had a desire to see the impact of their gift during their lifetimes. 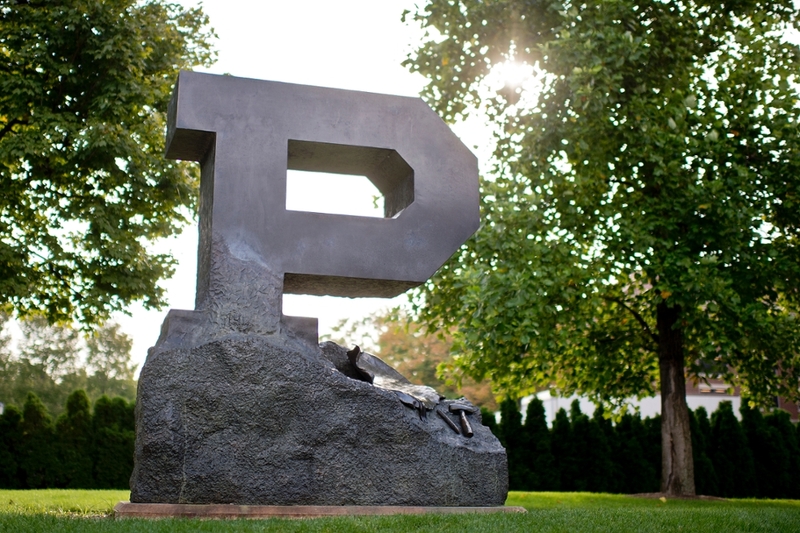 The Schums signed over seven properties to Purdue in 2014 with the hope that the donated land could be sold and return enough funds to endow a scholarship, where the current minimum is $25,000. The Schums received a tax deduction for the property’s fair market value at the time they deeded the real estate to Purdue. Because real estate gifts can be complex, Purdue partnered with consultants Chase Magnuson and Allen Thomas to ensure the sale was well executed. All seven properties were sold, and the transactions secured significantly more than enough dollars to create the Larry J. and Cynthia A. Schum Scholarship. “We’re excited that we can make an impact a lot earlier and be a part of what’s happening with the students,” Cynthia said. Questions about making a real estate gift to Krannert? Please contact the Krannert Development Office. "Once we decided to give the property, the process exceeded our expectations"
Alumni Larry and Cynthia Schum donated real estate to the Krannert School of Mangement and initiated a scholarship in their names.